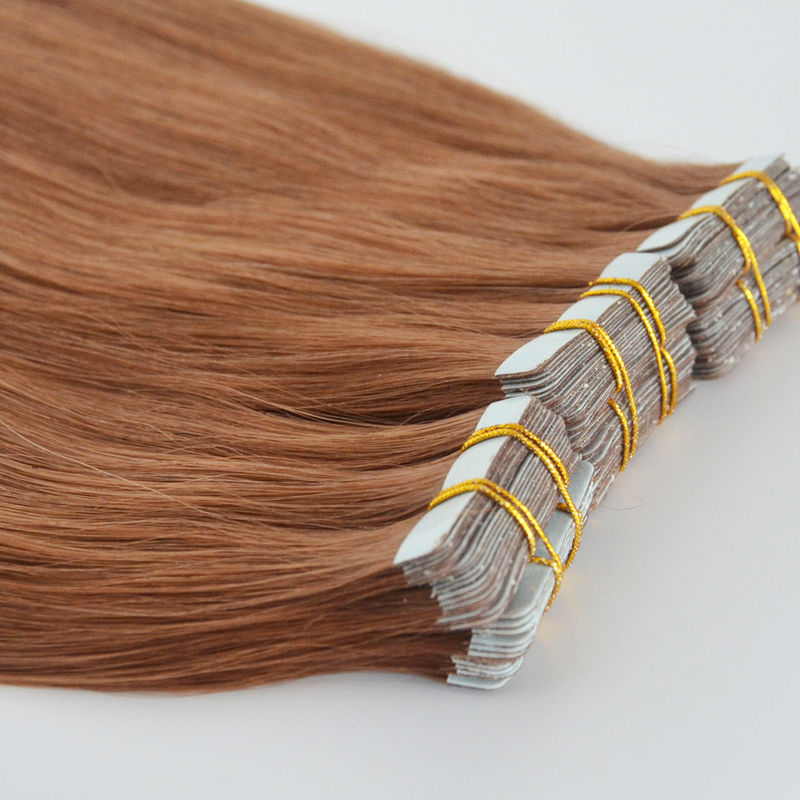 Tape In hair extensions are about 1-2inches wide with double sided keratin tape that is made of 100% natural hair. Tape ins pretty much explain itself with the name, hair extensions that actually get taped into your existing hair. Section your hair horizontally making sure you start from the bottom of the neck. Place the first tape hair extension onto your hair. Be careful not to apply the extension too close to the root of the hair, this should allow the tape extension to move and sit comfortably without pulling on your hair and causing too much friction between your scalp and the roots of your hair. Raise the extension up, clipping it to the hair you tied away at the top. It is normal for your hair to attach itself up to the tape hair extension. Take your second tape in hair extension and apply it by pressing it tightly against your hair with the first tape extension that you have already clipped up with your own hair sitting comfortably in between. 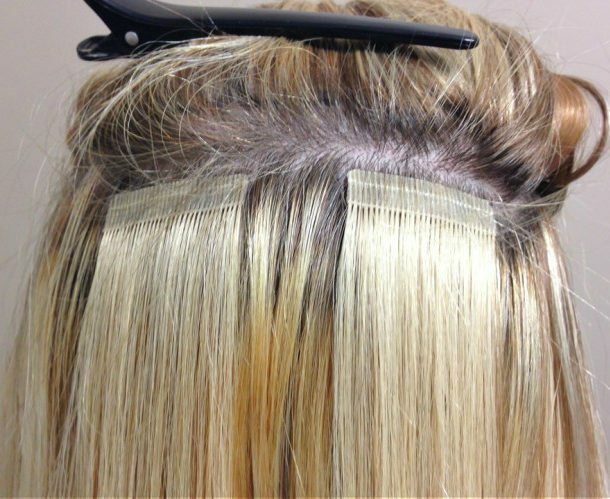 Repeat the steps above, ensuring that the tape hair extensions are sitting side by side with a 1cm distance in between each extension, to also allow for some movement over time. Complete your first row of tape, and then move up to your second row 1 inch above the first row and work your way up on your head. How Much Tape In Extensions Will I Need? Typically, the average head will use about 100 grams of hair – which is 20 “sandwiches” or 40 separate pieces of tape in. 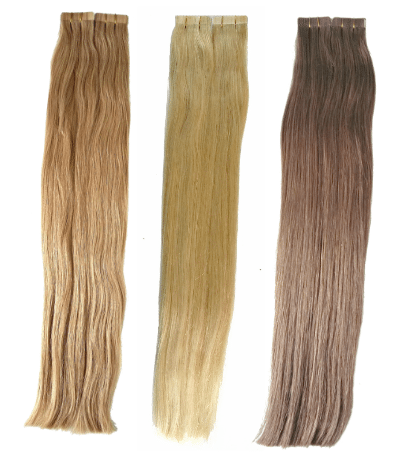 One application of tape-in extensions can last from 4-6 weeks! Also, tape ins only take about 30-40 minutes to install! Longer thicker hair within minutes! Made with 100% real virgin hair. With the right method, it will not damage your hair. No one will know you are wearing hair extensions with the right application! They’re not the cheapest thing ever especially if going to a hair stylist to install.